France is redefining what it means to be a black woman abroad. 1. StudyBlue- The StudyBlue app digitizes flashcards so that you have access to all your cards on your phone, tablet, or computer. What I like the most about this app is that, even when your offline, you can still use it to review the flashcards that you've previously created. When you do have internet access, the app allows you to share cards with your classmates so that you each don't have to create a new deck of cards for the same subject. The app also has useful functions to take quizzes based on your cards or simply study only what you've gotten wrong, or your most difficult cards first. 2. Superflashcard- Of course, there is no need to always create new flashcards. The parts of the body, days of the week, time, or months in Spanish will always be the same no matter when, where, or how you learn them. For your basic vocabulary needs, Superflashcards is a very easy to use app that includes flashcards with pronunciations and examples of how to use common Spanish words. The app allows you to study, take quizzes, play games, and review slideshows of the pre-installed flashcards. 3. Spanish Conversation Courses- For visual learners, the Spanish Conversation Courses app includes videos in Spanish at every level of learning. For example, at the Beginners First Grade level, Señorita Garcia, Diego the dog, and a team of puppets will help you learn the "verb of the day" and new words through skits and songs. At the intermediate and advanced levels, helpful videos teach everything from Spanish vocabulary for doctors to providing an explanation of possessive adjectives. 4. Google Translate- The Google Translate app has replaced traditional Spanish-English dictionaries in my home. The app allows you to instantaneously translate words or phrases that you photograph, speak, type or draw words that you'd like to get translated, hear the pronunciation of the translation, and save translations for future reference. The feature that's made it my "go-to", however, is the feature that allows you to download language packages so that you have access to the the language you need offline as well! 5. Overdrive- Second to Google Translate, Overdrive is the app that I use the most for for Spanish. 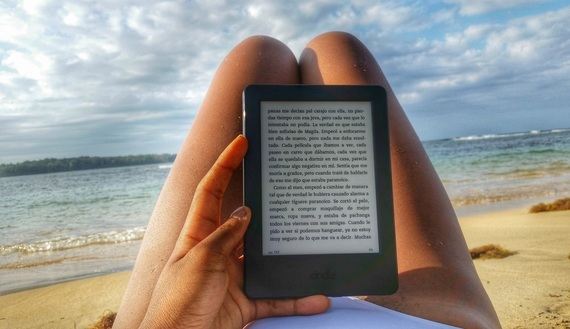 This underrated app allows you to download audiobooks and e-books to listen to or read on your phone, Kindle app, or tablet anywhere in the world. 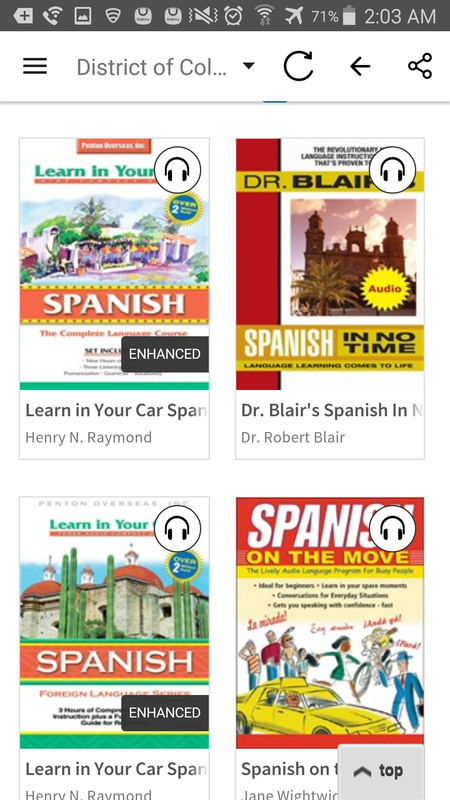 What makes Overdrive a revolutionary tool for learning Spanish is that it allows you to also access the digital library resources of your local library and borrow audiobooks and e-books in the same way you would borrow a physical book! 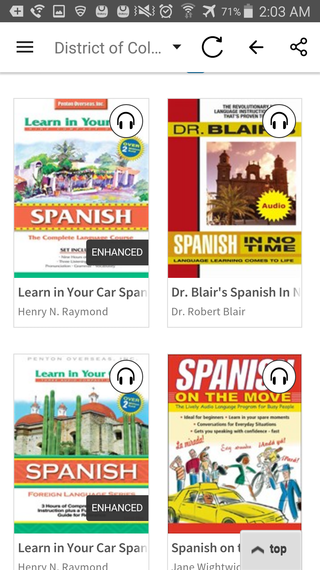 To improve my pronunciation, I'm currently listening to the "Learn in Your Car: Spanish" Series. I've also downloaded Junot Diaz's book This is How You Lose Her in both English and Spanish from the D.C. Public Library to read during my leisure time. What apps have you found useful for learning a new language?